Cryptographic assets, including cryptocurrencies such as Bitcoin, have generated a significant amount of interest recently given their rapid increases in value and volatility. As activity in cryptographic assets has increased, it's attracted regulatory scrutiny across multiple jurisdictions. Given there are no accounting standards that specifically address crypto-assets, preparers of accounts have raised questions on how to recognise, measure and disclose activities associated with the issuance of, and investment in, the various types of crypto-assets. Can we classify the different types of crypto-assets? How should holdings of crypto-assets be measured and presented? How should issuers record token issuances, such as initial coin offerings (ICOs), within their accounts? Crypto-assets are transferable digital representations that are designed in a way that stops them from being copied or duplicated. The technology that enables them to be transferred is called a ‘blockchain’ or distributed ledger. There is a wide range of crypto-assets currently in existence, with more ways of applying the technology in the process of being developed. To frame the accounting discussion, it makes sense to first try to classify these assets into categories. Currently there is no single, generally accepted framework for classification of crypto-assets, but there are some characteristics that can be used to group them. how the cryptographic asset derives its inherent value. Based on these characteristics, we’ve defined four broad categories of crypto-assets, set out in Figure 1. There is no current specific guidance on the accounting for crypto-assets and as yet no clear industry practice. However, current accounting standards do provide guidance that can be applied to most crypto-assets. While cryptocurrencies are designed as a medium of exchange, they are currently not used widely enough to enable them to be treated as cash or cash equivalents (eg. like a foreign currency holding). While they can be converted into cash through trading on an exchange, there is no contractual right to this conversion and so they are not a financial asset. Our view is that, currently, cryptocurrencies should be accounted for either as an intangible asset or as inventory, depending on the business model of the company holding them. While this fits the current accounting literature, it is far from an ideal solution. Many companies hold cryptocurrencies as a ready store of value – similar to either listed equity investments or short-term cash deposits. A categorisation as inventory or intangible assets makes carrying crypto-assets at fair value only appropriate in limited circumstances. In addition, where intangibles are carried at fair value, increases in their value are not recognised in the income statement, which often seems contrary to the underlying substance. Asset-backed tokens may give the holder a right to an underlying asset (or a portion of an asset) and are often used to transfer the ownership of underlying assets without physically moving them. Our view is that they should be accounted for consistently with the nature of the underlying asset. For example, a gold-backed token would likely be considered inventory, whereas a token that provides a partial interest in a renewable power station might be accounted for as property, plant and equipment. Utility tokens usually give the holder a right to future goods or services; for example, they may provide a future right to access a blockchain-enabled software platform once it is developed. They are a prepayment for these goods or services. Such a prepayment should be accounted for based on what the future good or service is. For example, prepayment for software or a right to future services would likely be an intangible asset. Where it does not meet the definition of an intangible asset, it is accounted for similar to other prepaid assets (such as an advance payment for inventory or insurance). Security tokens can give the holder a right to cash – for example, a portion of the platform’s future profits – or a residual interest in the profits and net assets of the company. Such rights might be discretionary or mandatory and might be accompanied by a say in decisions relating to the underlying platform. Such tokens may be a financial instrument for accounting purposes. Depending on the terms and conditions, they could be either debt instruments or equity instruments. The types of crypto-tokens on offer are rapidly increasing as the opportunities presented by blockchain technology are further explored. Tokens are and will be developed that have elements of multiple of our categories. A detailed analysis of the contractual terms (set out, for example, in the whitepaper) is needed to determine the appropriate accounting. Factors to consider will include the interaction of contractual clauses, their substance and relevance in the context of the overall characteristics of the token. It may require that the token be split into different accounting elements, or that a token is accounted for in one manner for a part of its life and another for the remaining life. 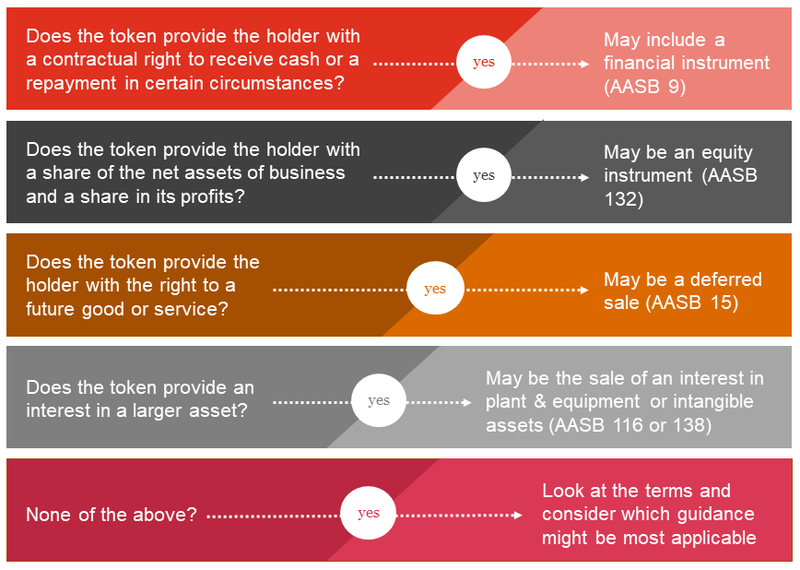 Figure 2 lists some of the accounting standards that might be applied to different types of tokens. An ICO is a form of fundraising that harnesses the power of cryptographic assets and blockchain-based trading. Similar to a crowdfunding campaign, an ICO allocates tokens instead of shares to investors/subscribers. These ICO tokens typically do not represent an ownership interest in the entity, but they often provide access to a platform (if and when developed) and can often be traded on a crypto exchange. When an ICO is undertaken the issuer receives consideration, potentially in cash but more usually another crypto-asset. In most situations, the consideration received by the ICO entity is recorded as the debit side of the journal entry and is relatively straightforward. The key challenge for issuing entities is determining the accounting for the ICO token issued (that is, the credit side of the journal entry). This will depend on the nature of the ICO token issued, in a similar manner to the assessment for holders of the crypto-asset. The key question to ask is what is the nature of the promise being made in the whitepaper, and how will this provide current or future value to the holder. Figure 3 provides a possible analysis framework of accounting models to consider when determining the nature of, and accounting for, the issued ICO token. 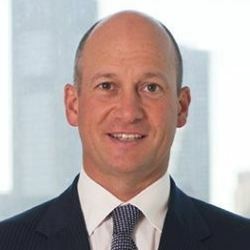 In the absence of guidance from the accounting standard setters, accounting for crypto-assets will continue to require significant judgment. However, in our view, the majority of transactions can be appropriately reflected using the accounting standards available to us today. Selecting the treatment for holding or issuing a crypto-asset requires a clear understanding of the rights attached to the token and its purpose.